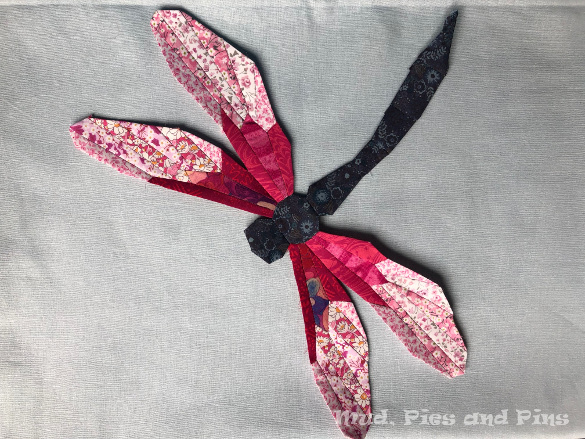 When I first started creating my own English Paper Pieced (EPP) designs, one of the early designs I worked with was a dragonfly. The EPP Dragonfly mini quilt that I made a the time was created for a swap and I loved it so much that I went onto make another one for myself. 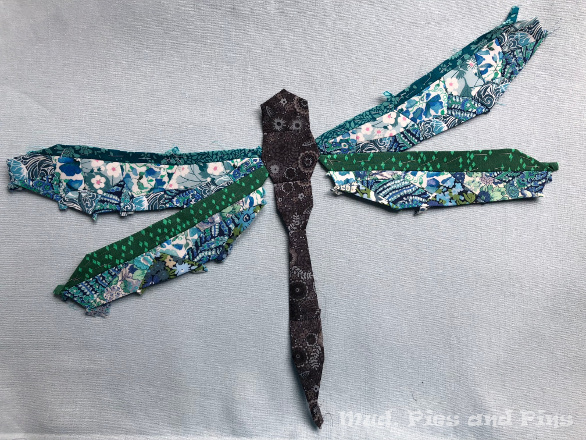 At the time I stitched the dragonflies from batiks, but I always wanted to make some Liberty ones, especially after my success at making EPP Liberty butterflies. Skip forward four years and I have finally stitched a Liberty Dragonfly. Inspired by the Liberty scrap challenge being hosted by Ava and Neve over on Instagram and by the pile of Liberty scraps sitting on my sewing table from all my recent Seoda quilt work I dug my old dragonfly design and finally made it up in Liberty. Of course once I had made one EPP dragonfly I couldn’t stop there and leave it all on it’s own. As with the butterflies before, the first one led to a second and then on to more. So far I have stitched three dragonflies and have rough designs for a few more. I feel that one or two of the designs need some tweaking and I want to play around with wing design and overall size. 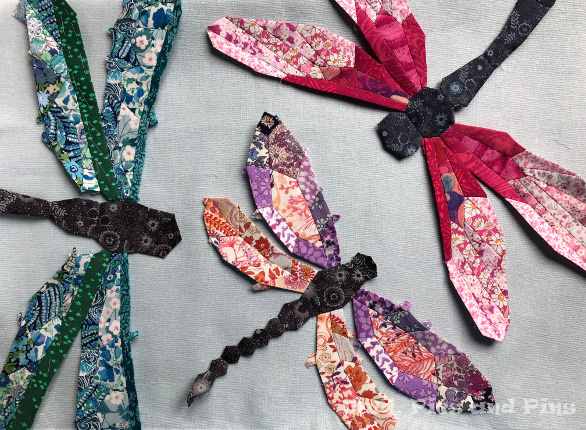 Over the coming weeks I hope I can create enough dragonflies to make a quilt. I am also hoping that as I pull together the EPP dragonfly quilt I can also finally finish off my Liberty butterfly quilt. My poor butterflies are languishing in a box in my sewing room all because I could never find the right background fabric to applique them to. I always had my heart set on the idea of using Irish linen for the background, but I was never able to source anything suitable locally, or on my various holidays back home. At one point I purchased some pale blue Essex linen cotton but I was never 100% happy with it and couldn’t bring myself to use it in the end so the butterflies continued to sit in a box. However, as luck would have it one of the lovely ladies at Peaks 13 this spring was making a quilt with some Irish linen that she had purchased in Dublin. It is exactly what I was looking for and I am hoping I will be able to get some when I am home on holidays. I am also delighted that, as it turns out, the Essex linen cotton is the perfect backdrop for the dragonflies. It is exciting to think that was what started off as a quick challenge project could see me with two new quilts in the not too distant future. 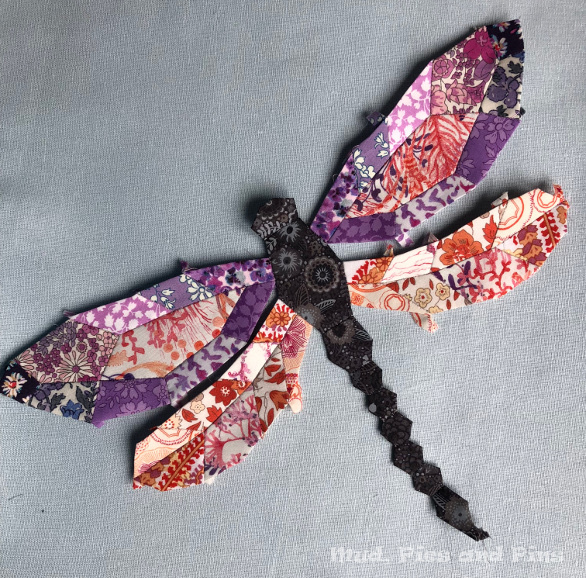 How can I purchase your EPP butterflies and dragonflies patterns? I love these! 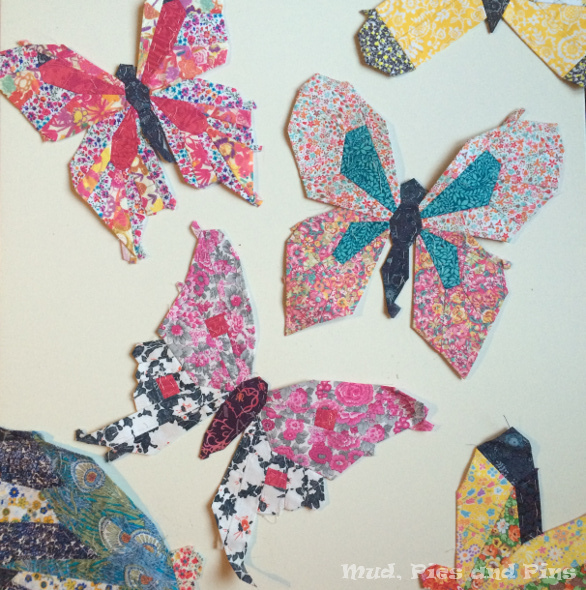 I’ve made a few of your EPP butterflies and I just adore them, they are also in a box in my sewing room. Hopefully I’ll be able to finish them soon. I’m so looking forward to your quilts! looking forward to when we can purchase your dragonfly pattern!